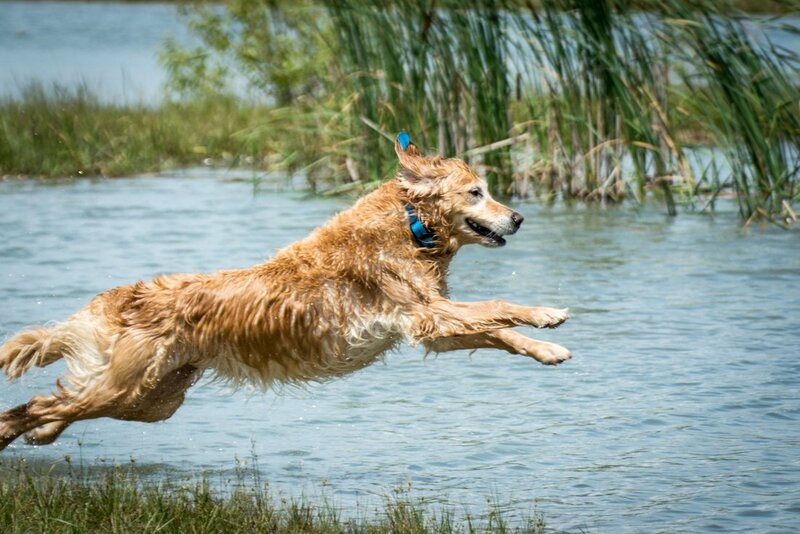 Bonny is my beautiful girl from Topmast Golden Retrievers. I had always had boys and had never wanted a girl until by a twist of fate, Bonny landed in my life. Now I know what I've been missing! Bonny is a high drive, biddable, focused girl who loves to work! Who has to work! Bon earned her CD in February 2013, and in just 6 trial weekends, she went from CD to MOTCh, earning HITS every weekend that she showed. In 2013 alone, she earned her CD CDX UD/OTCh OTCHX MOTCh GRCC VCI VCX VHOF OHOF and her AKC CD. In 2014, she earned her AKC CDX and started to accumulate GMOTCh legs, earning 6 before taking a break in April to get back to field training. After taking a break to whelp the Road Litter, she started back in obedience in February 2015 and earned a GMOTCh leg her first weekend out with a 199.5 and HIT from Open and 198.5 from Utility. She earned her remaiming legs on the next two weekends to become the first female CH/GMOTCH golden and only the 5th Ch/GMOTCH in the breed. To date, she has earned over 20 HITs as well as a perfect 200 from Open B. 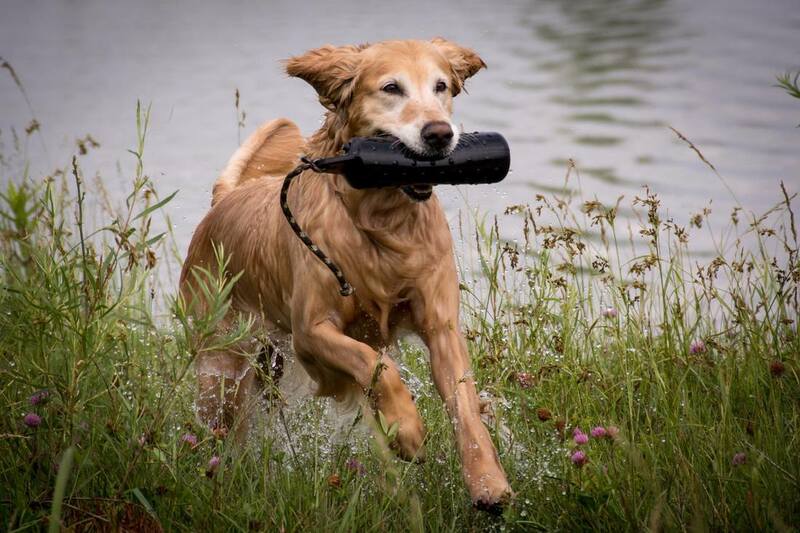 While a great obedience dog, her real love is field! 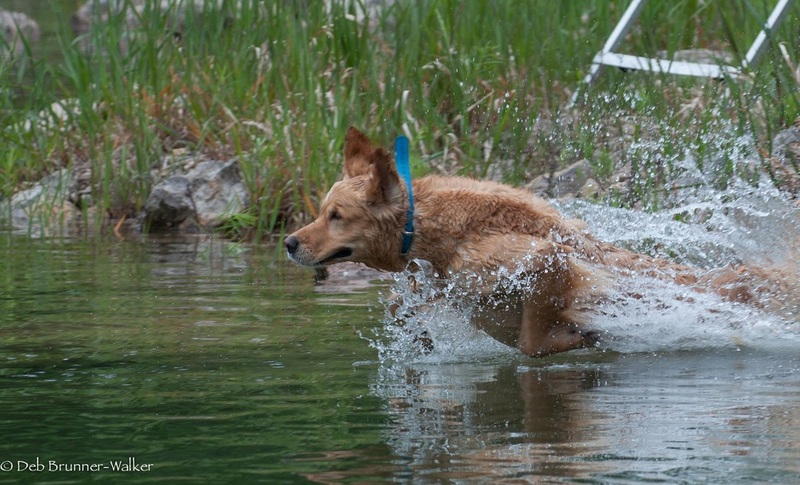 This dog lives to retrieve! Give her a flyer and she's in heaven. For all her drive, she is amazingly calm and steady on the line but is a fast, hard running girl once released, with a spectacular water entry. She easily earned her GRCA and CKC Working Certificate titles and her AKC JH and then went straight to Master, earning three AKC MH passes in her first season out. Unfortunately, the Road Litter interfered with our trialing in 2014 but she came back harder than ever to finish her MH title in 2015. And to top it all off, she's pretty too! She is a strong, athletic girl but also extremely feminine. She quickly finished her CKC CH with a BOB win from the classes. She stands 22 inches and weighs a muscular 60 pounds. She has a lovely body, pleasing head, and good eye colour. Her tail set and carriage are correct, and she has a solid, level topline. 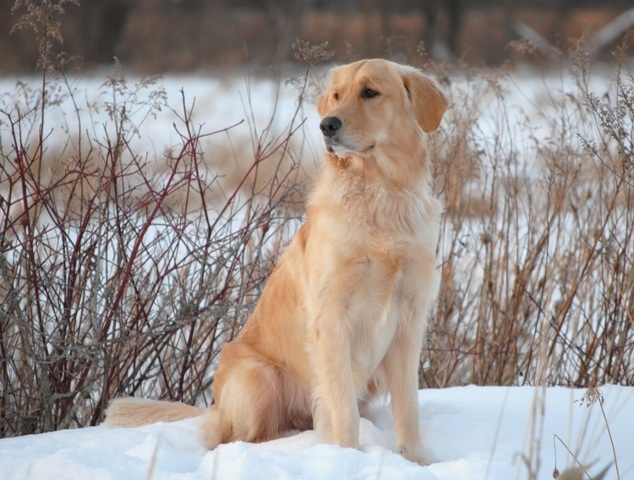 She carries ample correct coat that resists matting and burrs and dries very quickly.